No, it’s not a medical condition. 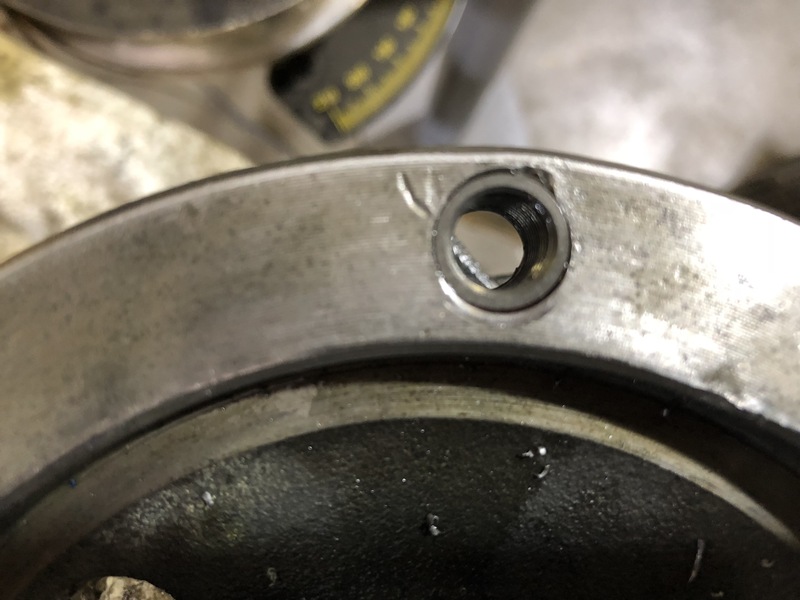 As I mentioned in the last post I stripped one of the bolts on the drivers side output flange. I ordered a rather expensive TimeSert kit to repair it. At least it wasn’t the $400 these kits used to cast–a more reasonable but still stiff eighty bucks. Expense aside, the kit works very well and saved me from having to weld up the hole, drill and tap a new one. And I’m not sure what alloy the part is made from, so distortion or damage from welding is always possible. The drill grabbed some while I was removing the threads. I had some concern that the hole might not be properly aligned, but the tap stood straight. 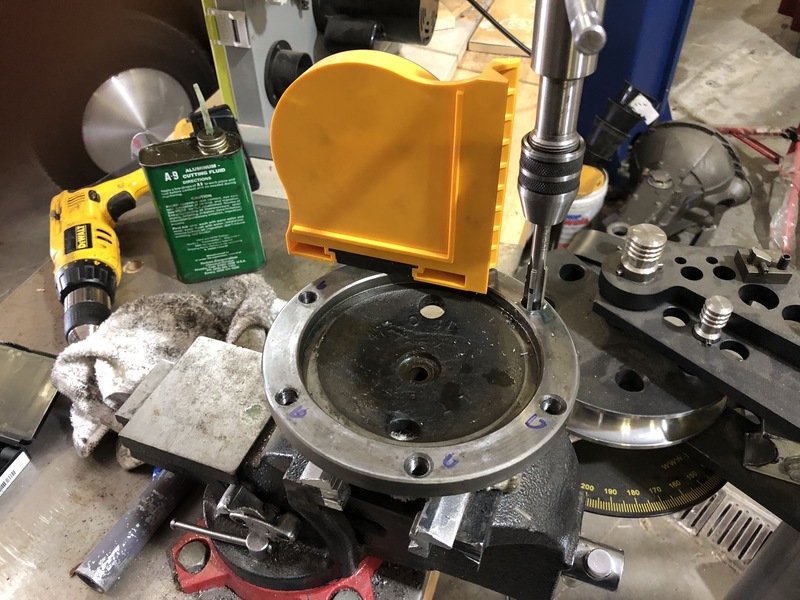 The finished insert is flush to the surface, the small shoulder ensures it won’t turn out when the bolt is removed in this application, and the alignment is perfect. The chip inside the threads is just a chip left over from tapping the hole. I’ve reassembled the drivers side suspension and temporarily bolted up the flange with standard 3.8 X24 bolts, now I’m just waiting for some new ARP bolts to torque into place. Everything looks great and now it’s back to the 500 other things that need to be done.